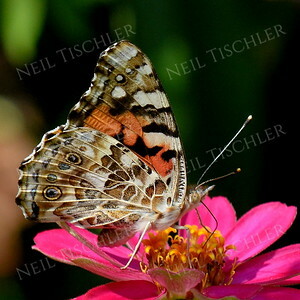 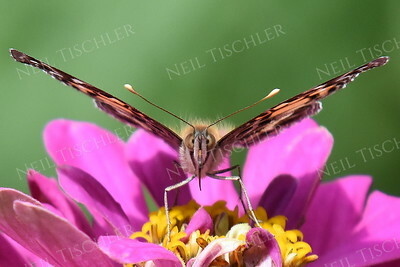 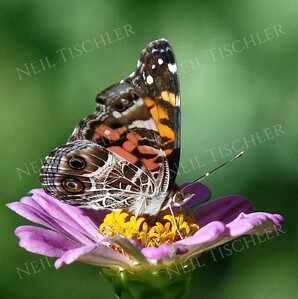 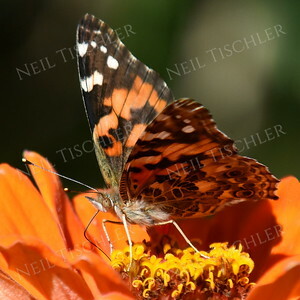 #1212 An American Lady butterfly atop a zinnia staring directly at my closeup lens. 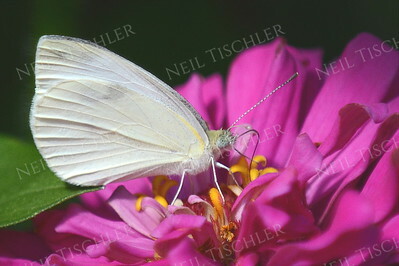 Most insects will not allow such a close approach but this one allowed me to hold my lens just a foot away. 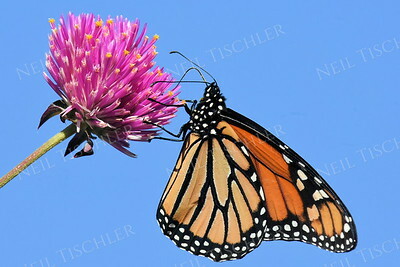 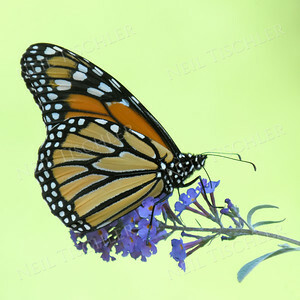 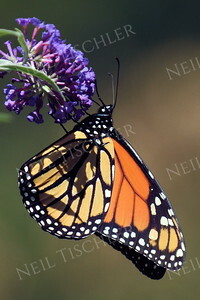 #1206 A monarch butterfly feeding from a purple butterfly bush. 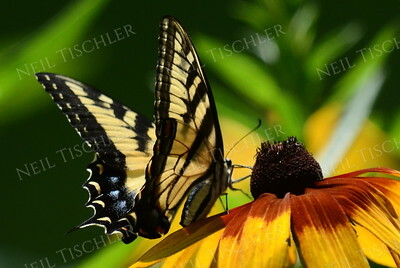 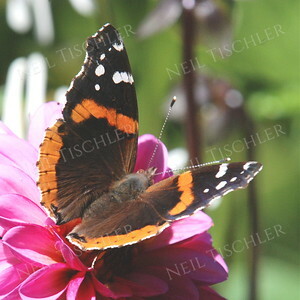 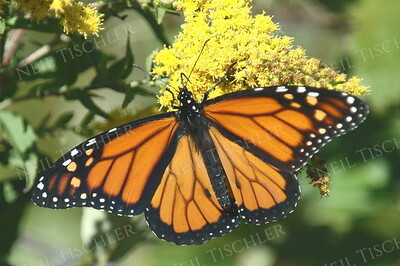 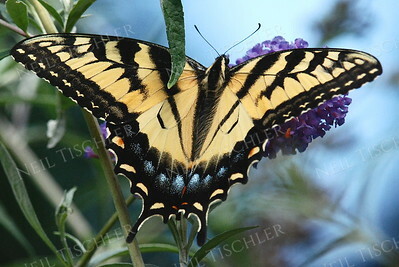 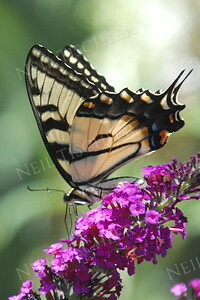 The butterfly was in shade with sunlit trees way in the background. 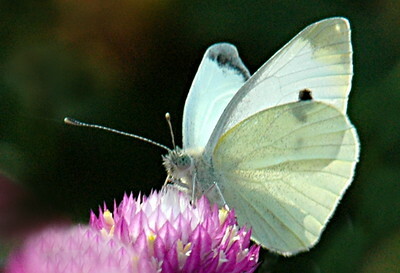 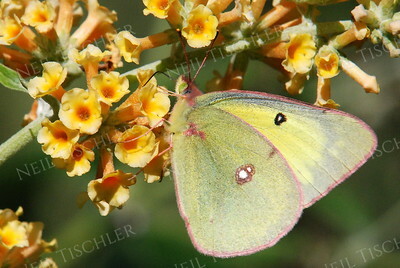 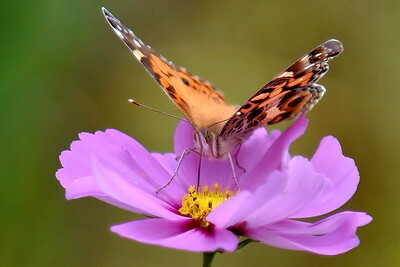 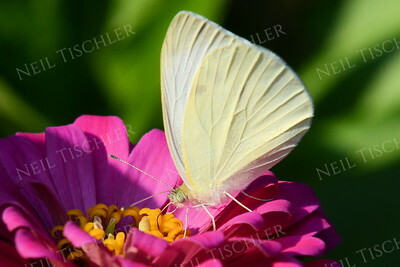 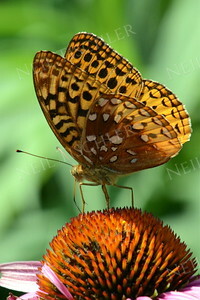 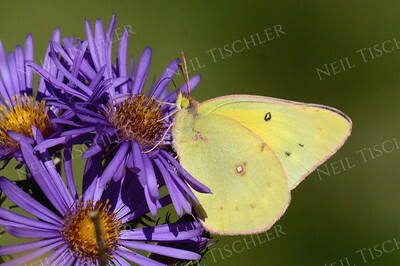 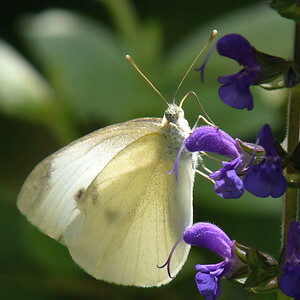 When I lightened the image to show the butterfly better, the background turned pale green. 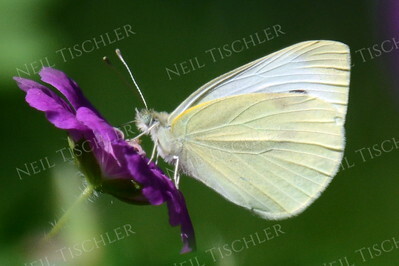 #1201 A cabbage white butterfly sips from a purple Cranesbill Geranium. 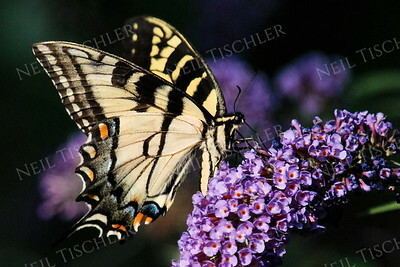 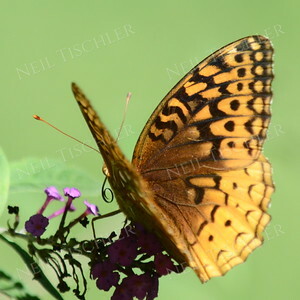 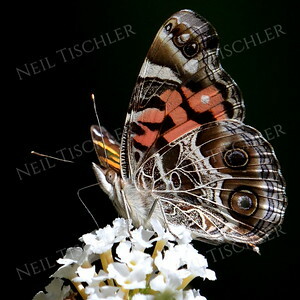 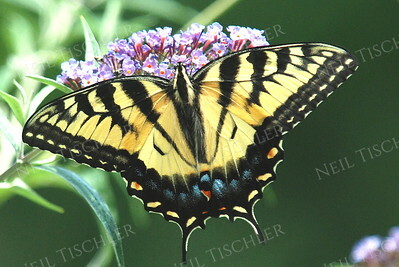 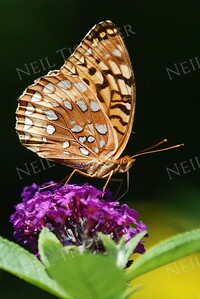 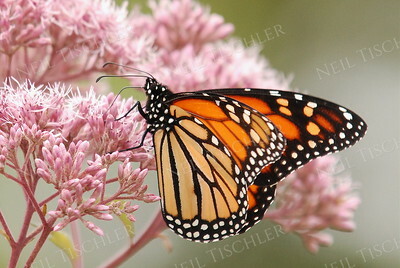 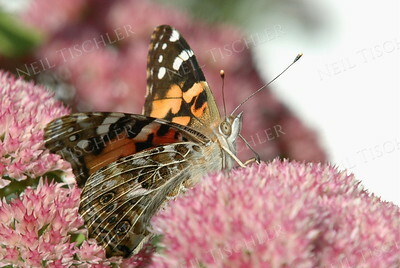 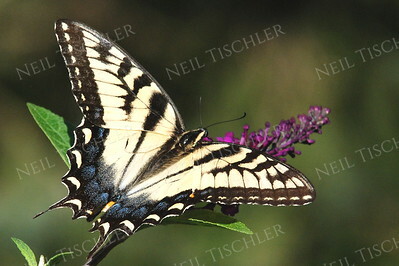 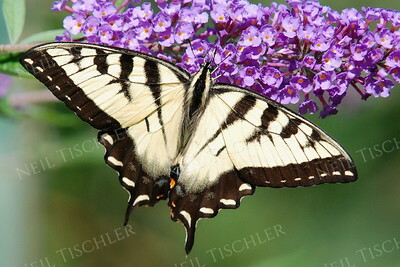 #1160 An American Lady butterfly nectars on a white butterfly bush.